Let’s face it most ‘About Us’ pages are awful! They’re knocked together as an afterthought because the theory is that they don’t actually sell anything and nobody looks at them. This is a huge mistake. Check your stats. I bet there are people looking at your ‘About Us’ page and they’re clicking on it because, surprisingly, they want to find out stuff about you. 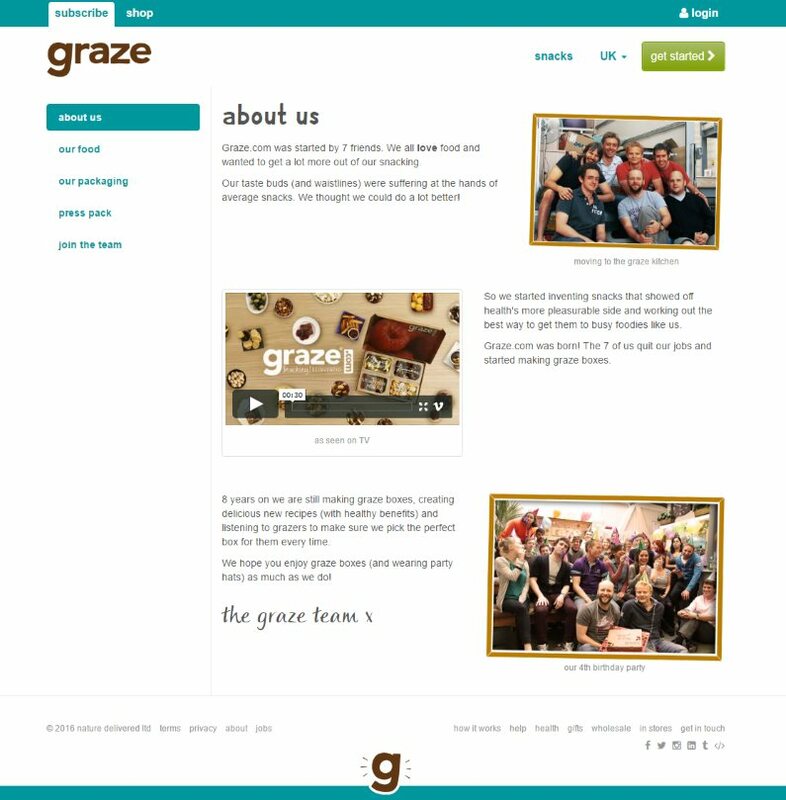 Creating a great ‘About Us’ page can build authority and trust with your customer plus persuade them to stay on your website and make a purchase. One of the big comments I hear is “I don’t know what to say on the page” so this post will solve that problem for you. Here’s a bunch of things you can include on your ‘About Us’ page, you don’t have to use them all, but just two or three will improve what you’ve got. If you’re a very old company then write a short provenance. If you’re a new one they say a little bit about your history. Old companies can go into detail about their long history starting at the origin and going through the years highlighting important dates. All this will help to build trust and authority for your brand. It can be a little more difficult it you’ve just started up your business but you can still say something about yourself and more importantly something about your future and where you want to be. This will help show commitment to your prospective customers. What’s the reason for you being here? Explain why you do what you do. Write a short mission statement saying what your purpose is and explain your Unique Selling Point (USP) . Don’t dress it up in too much marketing speak but be to the point about what you are here for. Did you spot a gap in the market? Do you want to offer a better price than your competitors? Do you create better quality and luxury items? What is the point of your existence and why should someone buy from you. 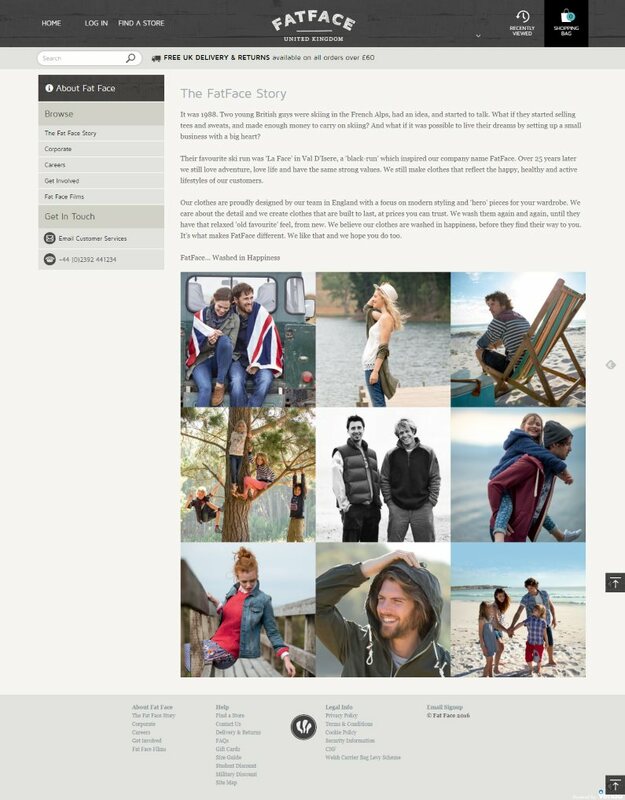 An image tells a thousand words and big visuals can really make an ‘About Us’ page stand out. Use timeline photos if you’re an established brand or show images of clients wearing/using your products. If you have some stunning photography then include some shots and remember to change things around a little from time to time. Strategically and attractively present two or three customer testimonials. This will again help to increase trust and authority with your new customers. Try not to pick a standard product review but a proper testimonial where a customer has complimented you on a great service. It’s also good to see the people behind the brand but don’t use old fashioned suit and tie profiles, get the team together and take a big photo of the lot of you. If this is not possible then take photo’s of certain members of staff at work doing what they do. I’m a big fan of action photo’s so talk to the packing and warehouse staff about getting some photo’s done and show your customer who could be handling their order. This is a great way to humanise your brand and show that there are real people behind it who care. Creating a short ‘Hello’ video could be a good idea for your ‘About Us’ page and like the photo’s point above make sure it’s friendly and show members of staff doing their thang! You could also show off a few products. Explain a little bit about your history and why you are here and talk about your USP … pretty much say everything above on a video. Video’s are much easier to watch on a mobile phone. Who wants to be reading shed loads of text on a tiny screen. Don’t forget to take advantage of connecting with your customers on social media. If they’re reading your ‘About Us’ page and you’ve done a good job on it then fingers crossed they will like you a little bit more so grab this positive thinking by the balls and offer up your social media pages. Actually say that you would love to connect with them on Facebook or Pinterest. Say you would love to hear from them on Twitter. Make that connection and grab some more followers. I’ve spoken to some people who created their website back in 1997 and have never, ever changed the text on their ‘About Us’ page. 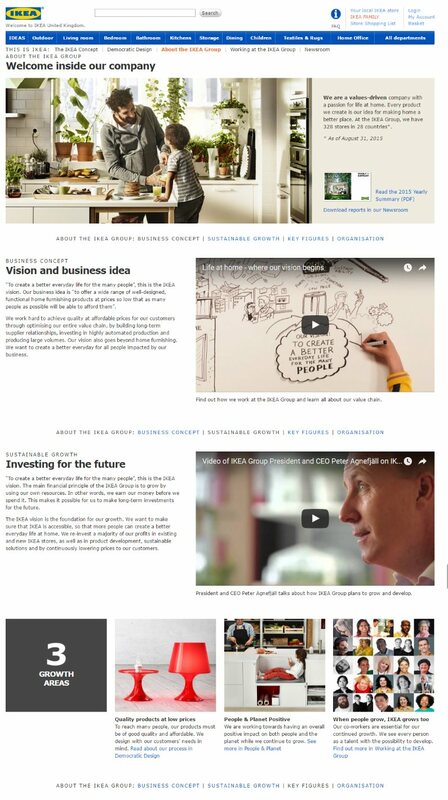 Sure, the website has had multiple redesigns but the contents of the ‘About Us’ page have stayed the same. Update things when they change. Remove staff pictures who don’t work for you anymore. Take off any products that you don’t sell and generally bring the page up to date and reword things for the 21st century. Hopefully this post should give you a few ideas on how to fill your Ecommerce ‘About Us’ page and make it a little more useful. Remember that people click on it because they want to find out something about you and there’s a great chance to build trust and authority and encourage more purchases now or in the future. Think up a different name for your page as well. Say something like “Meet The Team” or “Our History”, “Provenance” or “Our Story”. Be original. If you’ve enjoyed this post then you may like some further reading on how to create a better Ecommerce store. If you’ve got any questions or want to make a point then leave a comment below or get in touch via Twitter or Facebook.